1558: Elizabeth I ascended the English throne upon the death of Queen Mary I at 42, thus beginning the Elizabethan Age. 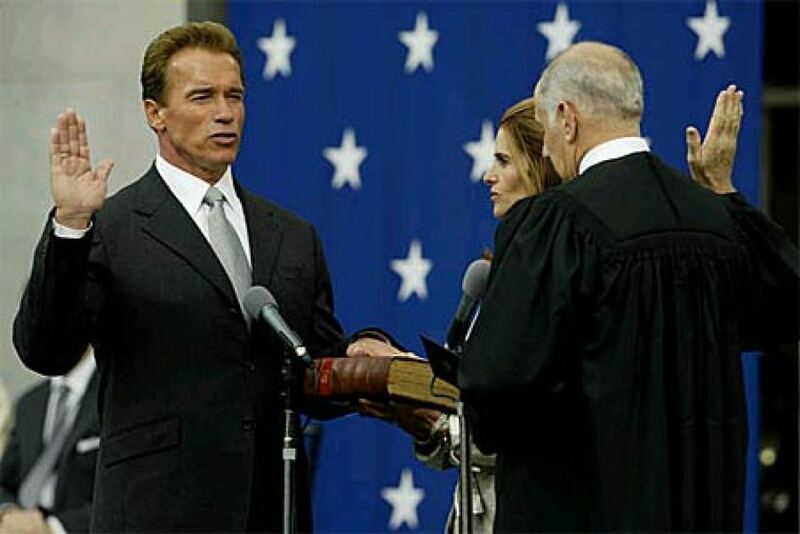 2003- Arnold Schwarzenegger was sworn in as governor of California. 2014 – The Church of England announces that it has changed its rules to allow female bishops; the church has allowed female priests for the last 20 years but has not allowed women to serve in higher positions until now. Reverend Libby Lane is the first woman in England to be named a bishop. National Unfriend Day – What started as a silly holiday by Jimmy Kimmel a few years ago has turned into an annual occurrence. • Homemade Bread Day – Homemade Bread Day is celebrated on November 17th of each year in celebration of homemade bread. • National Petroleum Day – Whatever your feelings on using petroleum, the effect it has had on our civilisation is undeniable, and that’s why celebrating Petroleum Day could prove very educational as well as interesting and entertaining. Celebrations can range from raising awareness of petroleum and its uses to trying to live a day without petroleum based-products in order to appreciate its value and impact on our lives.